While having gained our spotless reputation with flawless cleaning services, very few know that Allsafe Cleaning Melbourne is also a provider of the most affordable Gardening Services in Melbourne! We have been satisfying home and property owners for years with our well-rounded offering of gardening services. If you have the space, but not the time, allow us to handle all of your basic gardening tasks. Our local landscapers and gardeners can transform your space back into the green inspiration it is meant to be! We can provide gardening services seven days a week and there are no hidden charges for evening or weekend work. 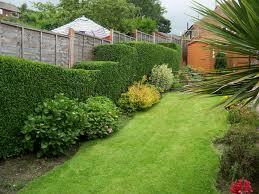 We will get your green space back into shape for you, at very reasonable prices! For a full listing of services we provide, please visit our pricing page. You can call us anytime on (03) 9021 6889 and one of our friendly representatives will answer all of your gardening service questions. They can also set appointments for service or provide, hassle-free, no-obligation quotes. Or if you prefer, you may request service through our online booking form.